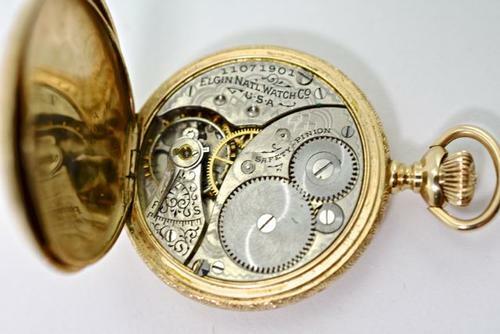 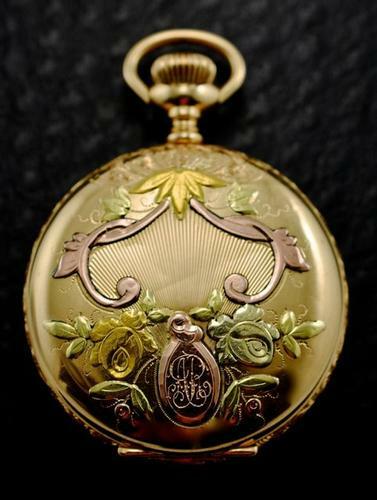 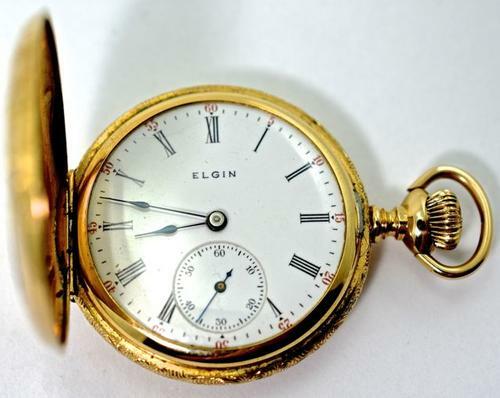 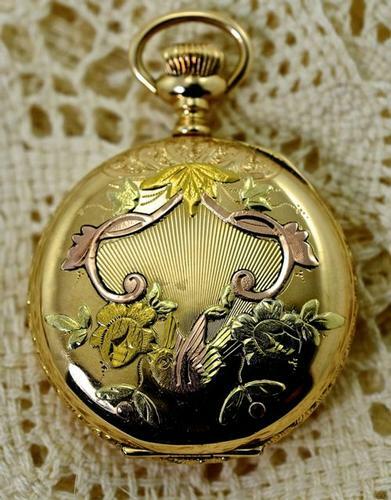 Exceptionally pretty ladies 14k multi-color gold Elgin pocketwatch. 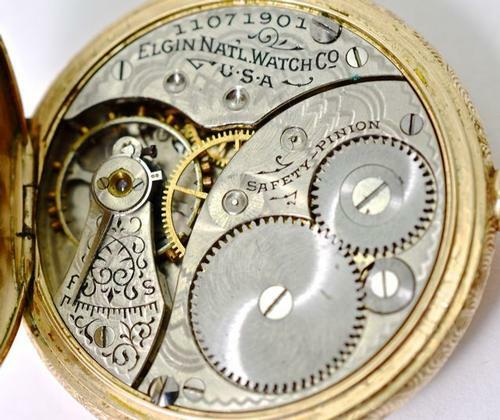 The watch is currently working though we know nothing of its service history. 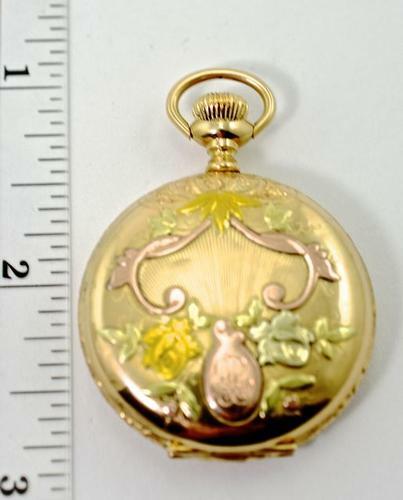 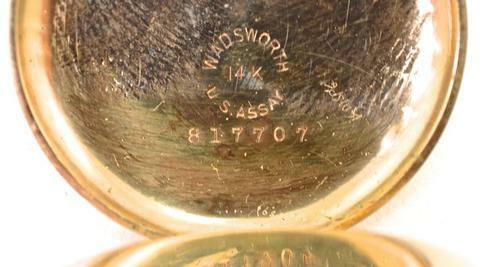 The watch weighs 33.5 grams.